Originally from Bay City, Texas, Sean is a 2009 graduate of the Franciscan University of Steubenville in Ohio. Sean resides in Saline, Michigan, (just south of Ann Arbor) with his wife Lexie and their children Emma, Isaac, and Dominic. His home parish is Christ the King in Ann Arbor, Michigan. Sean is currently employed as an assistant vice president mortgage loan officer at Ann Arbor State Bank. He also participates in ministry as often as he is able to. He has a passion for engaging young adults, young families, and audiences of all ages and backgrounds. He loves to encourage people to go all-in for Jesus. His core message centers around his experience of the death of his father when he was three years old and the subsequent healing that has taken place to bring him to abundant life in Christ. While in college, Sean led many retreats and participated in spring break missions to New York, Mexico, and France. He later studied Spanish in Mexico and Guatemala over the course of two summers, and he did a three-month mission to Honduras. He also spent two years interning for the Journey Through Scripture Program at Dr. Scott Hahn's St. Paul Center for Biblical Theology in Steubenville. In recent years, Sean has given talks and testimonies at many retreats, conferences, and parish missions; he was on the leadership team for several Lift Jesus Higher Youth Rallies in Toronto, Canada; he participated in the panel discussions for four episodes of the EWTN television program Crossing the Goal, which dealt with the "Lies of a Generation"; and has also been featured on Peter Herbeck’s radio show Fire on the Earth. "Thank you so much for speaking to us this weekend Sean! Lives were changed through your words and openness to the Holy Spirit. Let us pray that the fire will spread!" Pete Burak is a 2010 graduate of Franciscan University of Steubenville (FUS). He has a heart for preaching and reaching today's Catholic youth and young adults. His core message is: "Stand up and be a man or woman of God, in the heart of the Church!" He engages young people with stories from his youth, high school experiences, his two years with the University of Michigan basketball team, and his transfer to FUS. He motivates young people to stand up for Jesus and make a difference in their world. Pete is a frequent speaker on discipleship, evangelization, and young adult topics, and he is the co-director of Pine Hills Boys Camp. He has spoken for Legatus, has been a featured speaker at the Lift Jesus Higher Youth Rally in Toronto, and also gives numerous high school and middle school retreats. He is the director of Pine Hills Camp for junior-high-aged boys. Pete works as the Director of i.d.9:16, a Renewal Ministries’ outreach to Catholic young adults. Additionally, he is working toward his Masters in Theology and Evangelization at Sacred Heart Major Seminary in Detroit. He is married to Caitlin (Donovan) of Lewes, Delaware, and they have four children. Sister Sarah Burdick is an evangelist who has ministered to many people at missionary rallies in Eastern Europe and Africa. She is the director of formation for the Servants of God’s Love, a religious community canonically established in the Diocese of Lansing, Michigan. Sister Sarah has a B.S. in Education from the University of Michigan and an M.A. in Theology from Sacred Heart Major Seminary in Detroit, Michigan. Sister Sarah has worked with youth in many different capacities over the last twenty years. She taught middle school for ten years, helped direct youth camps; and did college campus ministry at the University of Michigan and Eastern Michigan University. She is presently the head of the theology department at Fr. Gabriel Richard High School in Ann Arbor, where she also teaches. Sister Sarah has also been a guest speaker at the Franciscan University of Steubenville’s youth and leadership conferences. Randall Cirner is a clinical counselor, author, and speaker who has been involved in Catholic ministry for over forty years in the US, Europe, Africa, Latin America, and Asia. Randall has master’s degrees in counseling and theology. In his private counseling practice, he specializes in marriage and family concerns and men’s issues. He has taught theology at both the college and high school levels. His books include: Ten Weeks to a Better Marriage (coauthored with his wife, Therese); Transform Your Marriage; Whitewater, Bears, Dryflies and Other Ways God Speaks to Guys; and Deliverance from Evil Spirits: A Pastoral Approach (coauthored with Fr. Michael Scanlan). He and his wife Therese were married in 1969. They have five children and two grandchildren. » Randall serves as a Missionary Teacher on our international missions. Therese Cirner, a licensed clinical counselor and adjunct professor at Franciscan University of Steubenville (FUS), has worked to renew the Church spiritually for the past 30 years. Presently, she hosts the yearly Catholic Women’s Conference at FUS, which draws over 700 women each summer. Therese’s professional qualifications, combined with her deep walk with Jesus, provide the foundation for spiritually dynamic and life-changing presentations. Therese loves to share the Good News of Salvation and how to grow deeper into the life of the Trinity, and has a special ministry to women of all ages. How to Make a Good Marriage Bettter! Tom Edwards and his wife, Jean Marie, make their home in St. Augustine, Florida. In 1974, after working several years in retail, Tom resigned from his management position to answer a call to full-time ministry. This step soon evolved into an international mobile outreach of lay Catholic evangelization preaching and teaching of the Holy Scriptures. His conference speaking, retreats, and presentation of parish missions have been widely received throughout the United States, Belize, England, Wales, Canada, Slovakia, Czech Republic, Poland, Kazakhstan, Jamaica, Trinidad, Ghana, Uganda, Kenya, Tanzania, South Africa, and Asian countries. Tom's goal always is to allow the living Word of God to become applicable to one’s life today. Tom has served twenty-eight years as a Renewal Ministries’ country coordinator, and currently leads missions in Slovakia, Czech Republic, and Tanzania. Jean Marie has mission experience in many countries and has been especially active in prolife presentations and parish ministries which have brought blessings and moved many to action. Together, Tom and Jean Marie can share a mission with your parish that will have positive and memorable impact. The Personal Touch—Nobody in our day has a shortage of "things to do." But in the "busyness of life," it's possible to miss out on what is of eternal value. A vibrant and living faith grows when we truly seek to establish and maintain a "personal touch" (relationship) with Jesus, and then extend that touch to family, neighbors, and all of those He puts in our path. Heart Transplant—We are not talking medical procedure here, but perhaps something far more critical to life. God calls us to a radical transformation—a progression from "who we are now" to "what He created us to be." The spiritual surgery He desires to perform is challenging indeed, but nothing can be more rewarding than being a man or woman after "God's own heart." We will learn about dealing with the "seven deadly pallbearers of character." The Sacrament of Reconciliation will be offered. Forgiveness—God has given us principles for life that open the door to a consistent experience of joy, peace, and the promised fullness of life. There is a great power resident in the "principle of forgiveness." Violation of the principle can have catastrophic effects. Learn about the great liberation—the healing freedom that accompanies the "power of forgiveness." Prayer for healing will follow. Persevering Prayer—How many times do we fail to pray as we ought ("You have not because you ask not?") Or then again, do we often "wither in prayer" when obstacles arise and life becomes difficult? Scripture contains valuable lessons that address these very issues. Pathway to Prominence—The "desire for prominence" is a natural human trait. Jesus teaches us a lesson on God's method of "reaching the top." His "pathway to prominence" turns the world's way upside down and inside out. Yield to Yield—Two questions are before us: To what must I yield (surrender)? What then must I yield (produce)? Jesus teaches the answers through the analogy of the vine and the branches. Careful pruning by the vine keeper produces the finest of fruit. Branches that remain connected to the vine will draw the fullness of life. Am I Worth My Salt?—Jesus teaches profound spiritual realities through the illustrations of very common substances. The believer, the Church, is to be salt-like. As little as the world perceives it, those who maintain a faith that is salt-like are the only thing that is keeping the “mystery of iniquity” from coming to a full head. What are these amazing qualities Jesus expects to find in those who count themselves as His followers? Escaping the Grasp of Greed—Jesus said to beware of greed in all of its forms. We who live in an era of “instant gratification” must be particularly on guard. It has been said that the “spirit of greed” speaks many languages, but the word “enough” is not in its vocabulary. Jesus calls his followers to take deliberate actions to escape the grasp of greed. What’s Your Temperature?—The Lord sets before us a spiritual thermometer. In the midst of a world growing progressively cold and indifferent to the great foundational doctrines of the faith, there must be a people who rise up to exemplify and defend them. To fail to do so may be to find oneself in the most deplorable spiritual state—lukewarmness. Figs, Faith, and Folly—Why would Jesus want to curse a poor fig tree? What were the important lessons for His disciples as they observed this act? We can be sure He will draw close to us, looking for the fruit that should characterize the life of every one of His followers. What will He find—that which satisfies or that which disappoints? Stir Into Flame the Gift of God—A living faith is characterized by a zeal that consumes and a fire that cannot be quenched. God has made provision and we must accept it. Personal Conversion and Repentence—Maturing in our faith always means “leaving something behind” and “taking up something new.” Within each one of us are two natures—the one we feed will grow; the one we starve will diminish. The Captain of Our Salvation—We are called to follow in the way of One who reveals Himself as “Pioneer,” “Pathfinder,” “Leader,” and “Originator”. He has chosen to reveal Himself more and more daily. He is called “faithful and true.” How can we be a people fashioned in His image? "Tom is a fine emissary of evangelization because he is an effective and dynamic communicator. His mission has been very well received, not only in our own Diocese, but also in other areas of the country and internationally as well. It is a blessing to have him in our midst. I highly recommend that other parishes and institutions utilize Tom’s gifts and talents." "Words cannot describe the presence and the power of God that was so evident at each morning and evening presentation. We have indeed been blessed by God by your willingness to share the Good News and already see the fruit." 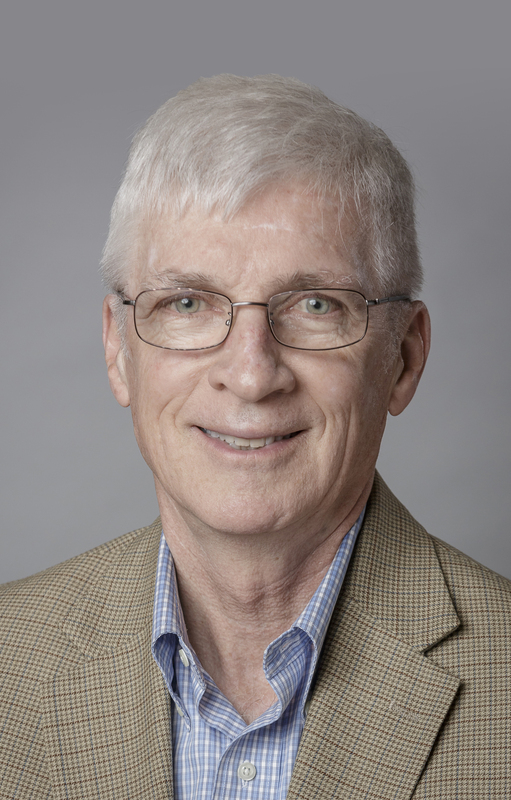 Tom Edwards Evangelistic Assoc., Inc.
Jack Flanagan has been active in the Catholic Charismatic Renewal for over forty years, tracing his spiritual roots to Duquesne University. He and his wife Terri have been married since 1976, and have six children. Jack was ordained as a deacon in the Diocese of Lansing, Michigan, in 2009. His ministry has included prison and jail RCIA outreach, parish RCIA and sacramental training, Unbound ministry in the local county jail, Unbound family ministry, catechism instruction, missionary work with Renewal Ministries, and youth outreach. He has served in the Renewal Ministries and Word of God Missionary Intern Program. During his diaconate formation period, Deacon Jack served as his parish's Education Commission chairman. Deacon Jack had responsibilities for areas such as Men's retreats, Life in the Spirit Seminars, parish missions promoting deeper encounter and relationship with Jesus and the power of the Holy Spirit. Through his work in prison ministry, he realized the great necessity for Godly family life, and began teaching on family life topics as well. Deacon Jack has a great desire to see the youth, especially junior and senior high students, live fruitful Christian lives. He currently leads a conference entitiled Life in the Spirit Seminars for Youth. He is interested in offering these seminars alongside parents and local young adult leaders, so that they will be enabled to continue in fruitful engagement with their youth long after the seminar. Since the time of his conversion to Catholicism in 1968, Paco Gavrilides has dedicated his life to serving Christ in the Church with a passion to share the Gospel. As a teacher, speaker, and evangelist, Paco has worked with many dioceses, movements, and individuals both nationally and internationally. He has been especially active in leadership formation, men’s ministry, family ministry, and evangelization among Hispanics and African Americans. Paco has served as homiletics instructor at Sacred Heart Major Seminary in Detroit, Michigan, since 2011. He received the equivalent of the STB at the Archdiocesan Seminary in Monterrey, Mexico, and completed his Licentiate Degree in the New Evangelization at Sacred Heart. For more than twenty years (1974-1995), he was involved in lay missionary work, helping to form small ecclesial communities throughout Latin America, Spain and the United States. For ten years (2002-2012) he was Coordinator and Emcee for the Detroit Archdiocesan-wide Catholic Men's Conferences, a work of preaching, teaching, and counseling that involved local, national, and international men’s ministry. For six years (2006-2012) he served in the Detroit Archdiocese Office for Evangelization. He has actively collaborated with the mission work of Renewal Ministries, an outreach dedicated to evangelization and spiritual renewal in the Catholic Church, nationally and internationally. He has been active in the Catholic Charismatic Renewal and evangelistic outreach to university students with particular emphasis on African-Americans and Hispanics. As a frequent conference speaker, with bilingual skills in English and Spanish, Paco gives retreats and missions on faith and conversion, spiritual growth and prayer, and spiritual leadership and family life. With his wife, Inez, he gives retreats and workshops for married couples. Paco and Inez have three children and reside in Ypsilanti, Michigan. "On the feast of the Immaculate Conception, at our day of reflection, Paco spoke on our Blessed Mother. For those who already loved our Holy Mother Mary, their love increased ten-fold. For those who had concerns and problems with our Dear Mother, all their questions were answered and doubts erased. For those who knew Her not, their light was lit and the flame enkindled. We would very much like to have Paco back." "Paco is enlightening, Spirit-filled and engaging! His knowledge of the faith and the Church are evident in his presentations. People from all walks of life will benefit from what he has to say. He draws people to a deeper conversion and discipleship in Christ." Dr. Mary Healy is professor of Scripture at Sacred Heart Major Seminary in Detroit and serves as chair of the Doctrinal Commission of International Catholic Charismatic Renewal Services (ICCRS). Her doctorate is in Biblical theology from the Pontifical Gregorian University in Rome. She is a member of the Pentecostal-Catholic International Dialogue, and she speaks nationally and internationally. She was appointed by Pope Francis as one of the first three women ever to serve on the Pontifical Biblical Commission. Dr. Healy has published numerous books, including Healing: Bringing the Gift of God’s Mercy to the World. Renewal Ministries has produced two CDs of Peter Herbeck's interviews with Dr. Healy, Does Jesus Still Heal? and Made for Relationship: A Biblical Understanding of Homosexual Behavior. » Dr. Healy serves as a Missionary Teacher on our international missions. Barbara Heil is a former Pentecostal minister who has traveled the world as a missionary, teacher and evangelist. After an amazing journey, Barbara came into full communion with the Catholic Church in April of 2013. She is a dynamic and inspirational speaker, who along with her husband Jeff, has a passion to awaken others to their destiny and purpose in Christ, and to lead people in deepening their walk with God. Barbara was a widow for 7 years before marrying her husband Jeff. They reside in Iowa and together have 8 children and 10 grandchildren. » Barbara serves as a Missionary Teacher on our international missions. Prophetic School, activation in the prophetic gifts. Sons and Daughters in an orphaned world. Debra Herbeck speaks at conferences and retreats about spiritual growth, discipleship, and her own journey from Judaism to the Catholic Church. For the past thirty years, she has worked extensively in youth and women’s ministry. Debbie is the co-founder and leader of Be Love Revolution, a movement dedicated to helping young women encounter and be God’s love in the world. Debbie is the director of Pine Hills Girls Camp. She also helps lead i.d.9:16, an outreach of Renewal Ministries that equips young adult Catholics to live as intentional disciples. She has written Safely Through the Storm: 120 Reflections on Hope, Firmly on the Rock: 120 Reflections on Faith, and Love Never Fails: 120 Reflections on Love. She and her husband Peter co-authored When the Spirit Speaks: Touched by God’s Word. Debbie and Peter have four children and four grandchildren. They live in Ann Arbor, Michigan. Peter Herbeck is the vice president and director of missions for Renewal Ministries. He has been actively involved in evangelization and Catholic renewal throughout the US, Canada, Africa, and Eastern Europe for more than thirty years. Peter is a co-host for the weekly EWTN television programs The Choices We Face and Crossing the Goal. He also hosts the daily radio show Fire on the Earth. He is a frequent conference speaker, has authored When the Spirit Comes in Power and When the Spirit Speaks, and has produced CDs and booklets about discipleship and life in the Spirit. Peter and his wife Debbie have four children and 5 grandchildren (with two on the way), and reside in Ann Arbor, Michigan. Jack Lynch is Renewal Ministries' TV and radio producer. He and his wife Lisa have five adult children, a growing list of grandchildren, and live in Ypsilanti, Michigan. Jack is a graduate of the Georgetown University School of Foreign Service. Active in the Catholic Charismatic Renewal for over forty years, he currently leads Life in the Spirit Seminars for his parish in Ann Arbor, Michigan. Prior to joining Renewal Ministries, he had a thirty-five-year career in information technology, in a variety of positions. He also was a candidate for US Congress in 2008 and 2010. "The best presenter was Jack. If I had difficulty following a speaker, the following week he would summarize it into wonderful words." "Jack was an exceptional leader and he made a huge impact on the success of the series." David Mangan is a graduate of Duquesne University and holds a Master’s Degree in Education. David has been involved in all levels of religious education for more than forty years as teacher and administrator. He and his wife Barbara were married in 1972, and have five children and sixteen grandchildren. They live in Ann Arbor, Michigan and are members of Christ the King Catholic Church. David was one of the participants on the retreat in February of 1967 where events took place that are often marked as the beginning of the Catholic Charismatic Renewal. He has served as a leader and teacher in Catholic renewal movements and has been active in preaching, teaching, family life seminars, bringing young people into the life of faith, healing ministry, and leadership training. David has written several magazine articles and has co-authored a book entitled Life in the Spirit for Your Kids, a practical “how to” manual for leading children into meaningful and lasting experience with God. David presents himself not as an “expert” on Christian life and family life, but as a struggling father, doing his best to live an effective Christian life and raise his own kids Catholic. His conferences, workshops, and retreats are entertaining and practical, giving real help and hope. David currently teaches math at Washtenaw Community College, after retiring as a math and theology teacher at Father Gabriel Richard High School in Ann Arbor, Michigan. His current book is God Loves You and There's Nothing You Can Do About It. Come Holy Spirit Workshop: In this workshop, David helps participants receive or be renewed in the baptism in the Holy Spirit and live in the power of God by His grace. Keeping Your Kids Catholic Workshop: In this workshop, parents will learn why young people leave the Church and how to prevent it, how to build resilient family relationships, how to introduce children to Jesus, how to create a Catholic culture at home, how to pray effectively for kids, and how to receive God’s power to help perform parental duties. “The Come and See Bible Studies Series is a trusted source for sound Catholic Biblical study. Unlike other programs, the Come and See Series covers all 73 books of the Catholic Bible. The series offers an “in-depth” look at each Biblical book yet covers a great multitude of material. Ralph Martin is the president of Renewal Ministries (www.renewalministries.net), an organization devoted to Catholic renewal and evangelization. Renewal Ministries is the sponsor of The Choices We Face, a widely viewed weekly Catholic television and radio program distributed throughout the world, and engages in a wide variety of mission work in more than thirty countries. Ralph also is the director of Graduate Theology Programs in Evangelization and a professor of theology at Sacred Heart Major Seminary in the Archdiocese of Detroit (www.shms.edu). He holds a doctorate in theology from the Angelicum University in Rome. Ralph and his wife, Anne, reside inAnn Arbor, Michigan, and have six children and seventeen grandchildren. Mark Nehrbas has worked on the campus of Franciscan University of Steubenville since 1985. He currently serves as Director of Development at Franciscan University and connects donors with the University’s educational and evangelistic mission in order to provide funds for scholarships, student financial aid, special projects, and buildings. Mark has a passion for evangelization and led Franciscan University’s popular summer conference apostolate from 2000-2012. Mark is a leader in the Community of God’s Love, a charismatic community in Steubenville. He hosted Franciscan University's Charismatic Conference for nearly twenty years. Mark has spoken at conferences and retreats around the country and abroad and served as emcee at several Catholic men’s conferences. From 1985 through 1995 Mark was the administrator for the F.I.R.E. team, an international Catholic evangelistic ministry. He traveled throughout the United States and to several foreign countries promoting and organizing F.I.R.E. rallies. Mark served on the National Service Committee of the Catholic Charismatic Renewal in the United States from 2001-2005. Prior to that He represented Franciscan University on the National Advisory Committee to the National Service Committee, a post he held for nine years. He has also served on the board of the Steubenville Convention and Visitor’s Bureau and was a charter member of the Franciscan Sisters, TOR Development Advisory Committee. Mark is a member of Holy Family Parish and resides in Steubenville with his wife, Carol. They are blessed with nine children and eleven grandchildren. Working Our Way to Heaven? Sr. Ann Shields, S.G.L., is an internationally noted conference and retreat speaker, and the author of numerous books on Catholic spirituality, including Deeper Conversion, To Be Like Jesus, and More of the Holy Spirit. She currently hosts the popular daily radio program Food for the Journey. Lavinia Spirito is the founding team teaching leader for Catholic Way Bible Study, currently distributed in forty US states and internationally. Though she grew up in Rome, Italy, Lavinia received her BA in Anthropology and Spanish from the University of Michigan; obtained her JD from The University of Kentucky College of Law; and has earned a Masters in Theology from The Augustine Institute in Denver, Colorado. She is also adjunct lecturer for the Saint Meinrad Permanent Deacon Formation Program. She prepares and delivers all the lectures for Catholic Way Bible Study, an in-depth study of the Scriptures as applied to daily life. She travels and speaks nationally and internationally giving retreats, priest retreats, conferences, parish missions, and days of reflection. CWBS’s five-part TV series on The Gospels can be seen on EWTN. She is co-host of Real Living and Unpacking the Gospel, two weekly radio programs on relevant issues facing today’s Catholics, and also makes guest appearances, blogs, and writes articles for the various websites. Through Renewal Ministries in Ann Arbor, Michigan, she collaborates in i.d.9:16, a young adult ministry. She has led and participated in catechist and deacon formation, RCIA, adult education, and CCD. Lavinia is active in parish renewal and the Catholic Charismatic Renewal in the US and Italy. She and her husband, Michael, live in Lexington, Kentucky, and have two adult daughters. » Lavinia serves as a Missionary Teacher on our international missions. “Years of laboring ‘in the trenches’ teaching Catholic Bible studies has equipped Lavinia with a unique talent to make a wealth of life-changing information accessible to anyone who hungers to know the Word of God." Deacon Steve Thomashefski has served in the Catholic Church for nearly fifty years through the Cursillo, Marriage Encounter, Charismatic Renewal, and Discovering Christ movements. He has directed parish missions and youth retreats, and spoken at Catholic evangelistic rallies and various conferences. Deacon Steve also has done mission work in Russia, Easten Europem and Africa since 1991. Formerly a successful carpet retailer, Steve sold his business in 1998 in order to devote more of his time to evangelization and mission within the Church. He spent a number of years serving as Renewal Ministries' country coordinator in Hungary, where he led evangelistic rallies and trained and supported lay communities in cooperation with local bishops. Deacon Steve and his wife Lucia are the parents of six grown children and one grandchild. Lucia is a member of the music ministry at Christ the King Catholic Church in Ann Arbor, MI and Deacon Steve serves as a permanent deacon in the Diocese of Lansing. » Dcn Steve serves as a Missionary Teacher on our international missions. Peter was born in London, England, and at an early age desired to serve as a missionary in Africa. He tested his vocation with the Holy Ghost Father’s (Spiritans). The ordained priesthood, however, was not to be his calling. Peter, his wife Madeleine, and their three small children emigrated to Canada in 1967. In 1974, through the Catholic Charismatic Renewal, Peter and Madeleine experienced a profound renewal in faith. When St. John Paul II called for a decade of evangelization in 1990, they responded by serving with Sion Catholic Community for Evangelization in England, giving parish missions with extensive door-to-door evangelization. This gave Peter a great love for apologetics. Peter then served with the Vatican office of the Catholic Charismatic Renewal (ICCRS) for eight years. He began serving with Renewal Ministries in 1998, primarily in Africa. Peter’s great love for Christ's Church is expressed in his teaching both in defending the faith and in opening the hearts of Catholics to the riches of our Catholic faith, founded by Christ. Church History: This series of six to eight talks gives a basic overview of major events and issues that have faced the Church throughout the centuries. Called to Mission: This series of three lectures looks at the Great Commission, what recent pope’s have said, and practical help with evangelization. Called to Holiness: Four talks on prayer, fruits of the Spirit, Corporal and Spiritual Works of Mercy, and the Sacraments of Grace (Eucharist and Penance). Christ Speaks Today: Three lectures on Revelation 2-3 focusing on the seven Churches and how the same messages apply to the Church today. When Our Minds Wander at Mass: Four lectures on the great mystery of the Eucharist, and how the Eucharist can help Catholics overcome distractions. Forgotten Doctrine: Understanding the history, doctrine and current practice of indulgences. Life and Growth in the Spirit: Two series of presentations based on the Catechism of the Catholic Church’s discussion of man’s vocation and life in the Spirit. Choose Life or Death: What determines our final destiny and does Purgatory exist? Finally Draw Your Strength from the Lord and His Mighty Power: Ephesians 6. This series studies spiritual warfare, assisting participants to understand the battle and equipping them to remain faithful to Jesus and His Church.Personal testimony: He will not crush the broken reed or extinguish the flickering flame (Mt 12:20). Peter shares his faith journey with honesty, showing the immensity of God’s mercy and love.